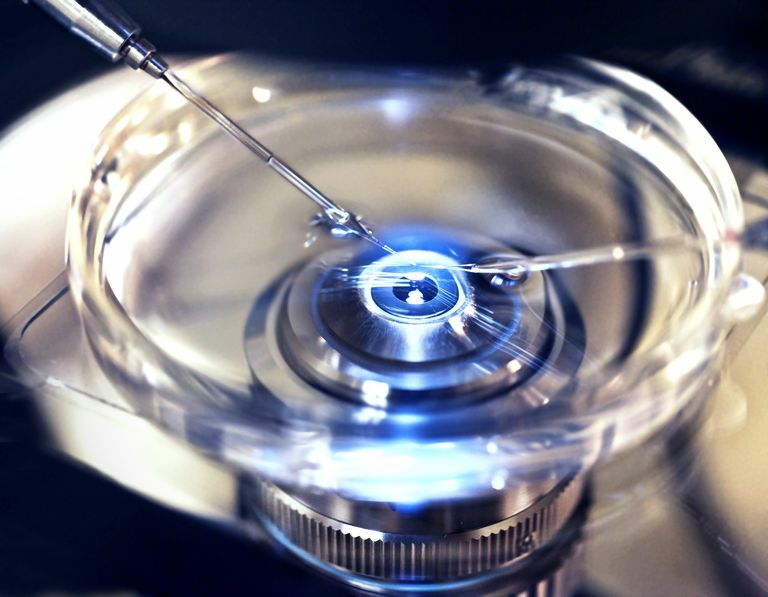 Will You Need IVF Treatment? What If You Don't Want It? Will You Need IVF Treatment? What Are Your Options If You Don't Want to Pursue IVF? Many people assume that if you can’t get pregnant, IVF treatment is the go-to solution. This is a myth. A small percentage of couples with infertility—less than 5 percent, according to the American Society for Reproductive Medicine—will go onto to use IVF. Will you need IVF? And what if you don’t want to do IVF? When Is IVF the First Step? There are some situations where IVF is your only option to have a biological child. Severe tubal disease: If both fallopian tubes are blocked, IVF is your only option for a biological child. The fallopian tubes are the pathway that connects your ovaries to your uterus. If an egg ovulated from your ovaries can’t reach the uterus—and sperm can’t get to the egg—you can’t get pregnant. In some situations, surgical repair of the fallopian tubes can avoid the need for IVF. However, success rates vary considerably, and it’s not a good option for most women with severe tubal disease. Severe male infertility: In cases of severe male infertility, intrauterine insemination (IUI) with a sperm donor or IVF with ICSI may be your only option for biological children. ICSI stands for intracytoplasmic sperm injection. With basic IVF, sperm cells are placed in a petri dish with an egg. Eventually, one of the sperm cells will hopefully fertilize the egg. With IVF-ICSI, one single sperm is injected directly into an egg. IVF-ICSI be necessary in cases of severe problems with sperm motility (movement) or morphology (sperm shape.) It may also be required if the sperm count is very low. Azoospermia is when a male has a zero sperm count. Some of these men can still have a biological child thanks to IVF-ICSI. Immature sperm cells can be biopsied directly from the testes. The sperm cells are then allowed to mature in the lab. Sperm cells matured this way can’t fertilize an egg themselves, and IVF with ICSI is required for conception. High risk of genetic disease: If you and your partner are at high risk of passing on a deadly genetic disease, IVF may be your best or only option. This may also be true for couples experiencing recurrent miscarriage due to genetic problems. In this case, you would need IVF with PGS or PGD. PGD stands for preimplantation genetic diagnosis. This is when an embryo is tested for a particular disease. PGS stands for preimplantation genetic screening. This is when an embryo is generally checked for normal chromosomal counts. This test is not as reliable as PGD and is considered experimental. Post-cancer fertility treatment: If you have frozen eggs, ovarian tissue, or embryos, you’ll need IVF to conceive with that cryopreserved tissue. Frozen sperm cells can be used via an IUI procedure and may not require IVF. However, if there is a small amount of preserved sperm cells, IVF may be a better choice due to the increased success rates. When cryopreserved eggs are used: Cancer is no longer the only reason why eggs may be frozen. While still uncommon, some women are freezing their eggs when they are young to reduce their risk of age-related infertility. If you freeze your eggs, and you want to use them to get pregnant in the future, you will need IVF treatment to conceive. When surrogacy is required: If a woman is missing her uterus, either because she was born that way or it was removed for medical reasons, she won’t be able to conceive or carry a pregnancy. She may be able to have a child via a surrogate. If the woman has her ovaries, or she has cryopreserved eggs or ovarian tissue, she may also be able to have a biological child with the help of surrogacy. If not, an egg donor may be used along with the biological father’s sperm cells. All of this requires IVF. Surrogacy with IVF may also be required if there are severe uterine factor infertility issues that can’t be repaired surgically. A gay male couple that wants to have a biological child may also need a surrogate with IVF treatment. When Is IVF the Next Step? No treatment map fits every couple perfectly. Therefore, it’s not possible to say what your personal path to IVF may look like. Some couples may require surgery before they try any fertility treatments. Some may first need to treat an underlying medical condition. Some may never need fertility treatments. That said, here are some more common treatment trajectories. The treatment pathways listed below are simplified and don't represent all treatment possibilities. What determines whether your doctor suggests trying for one, three, or six cycles of a particular treatment? Or whether they skip one of these steps? Or suggest a fertility treatment not listed above? Your doctor will take into consideration your cause of infertility, the research on your particular situation, your ages, your personal desire to keep trying before moving onto the next level, your feelings towards or against IVF, your insurance coverage, and your financial situation. If you’re wondering when IVF may become the next step in your personal circumstances, speak to your doctor. If you disagree that IVF should be the next step, or you are curious if you have alternative options, don't be afraid to get a second opinion before making a decision. Deciding to pursue IVF is a big decision. What If You Don’t Want to Do IVF? You always have the option not to pursue IVF. This is true whether IVF is the first treatment recommended by your doctor, or you only are facing IVF after several attempts of non-assisted reproductive technologies. Sometimes, you will have no chance of having a biological child without IVF. In other cases, your odds of conception may be low—possibly less than 1 percent in some cases—but not impossible. For example, women with primary ovarian insufficiency (POI) may be unlikely to conceive on their own. But it does happen in a very small percentage of cases. You shouldn’t count on being in that rare group. At the same time, you shouldn’t assume your infertility diagnosis will keep you from conceiving on your own naturally. What are your options if you don’t want IVF? This is something to discuss with your fertility doctor and a counselor. If you decide to pursue further lower tech cycles, or try alternative treatments, discuss with your doctor the actual odds of treatment success. For example, some research has found that after six to nine cycles of IUI, the odds of conception drop significantly. You don’t want to throw away money and waste emotional energy on treatments that are unlikely to work. While it can be hard to stop trying, sometimes it is the best thing to do for your body and your emotional well-being. If you’re having difficulty deciding when to stop treatment, see a professional counselor who can help you work through the grieving process. A small percentage of infertile couples will need IVF, just under 5 percent. For those that do require IVF treatment, there are many reasons they may be unable or not interested in pursuing the treatment. If you want to do IVF, but are concerned about costs, be sure to look into the many options for financing. If you don't want to do IVF, don't feel bad about that decision. Deciding against IVF doesn't mean you "didn't want a baby badly enough" to "keep trying." Don't allow peer pressure to push you into something you don't want. SART Frequent Questions. Society for Assisted Reproductive Technology. Assisted Reproductive Technologies. American Society for Reproductive Medicine.